Day 1:	Today we set out today towards the east. We walk up winding mule tracks to the Tizi n’ Tamatert (2279m) to enjoy the amazing panorama of the surrounding Atlas Mountain ranges. We will have our picnic lunch on the Tizi 'n Tamatert, overlooking Jbel Oukaimeden (3200m) and the beautiful encircled plateau. After lunch we set off following the path down to Imnane Valley. We will spend the night in a local gite. 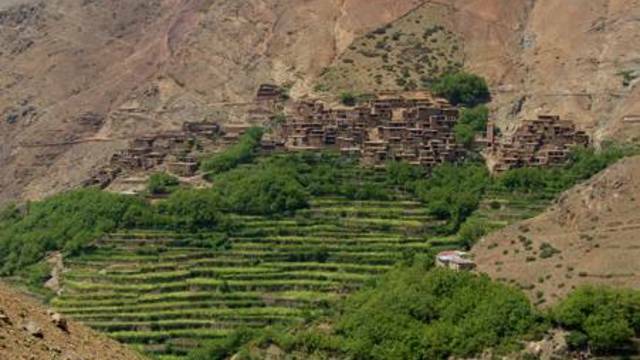 Day 2:	After breakfast, we set off down the Assif Imnane Valley, passing throught several berber villages and then up to the Tizi 'n Ageursiwal (2000m). 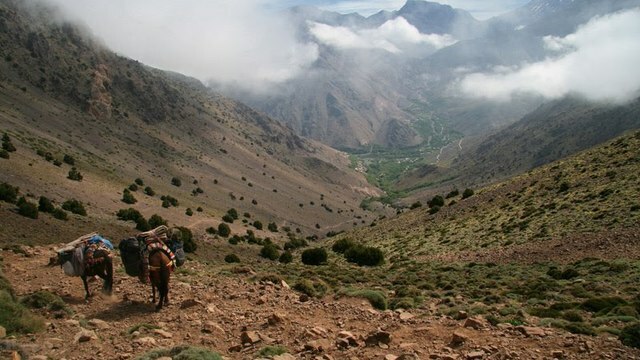 Once we pass the col we shall go down more winding mule tracks leading to the village of Aguersioual (1600m). 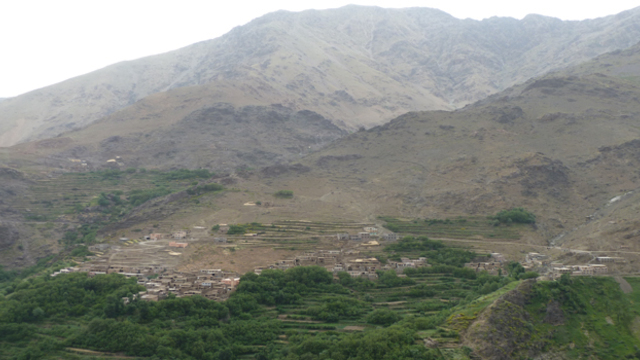 Here we will have our lunch before returning to Imlil.